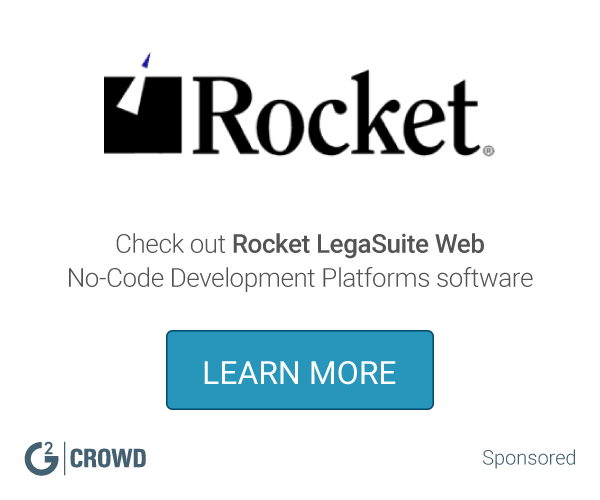 "Great platform for fast application development"
I like the fast response and easy start when a need for a new application functionality is identified in the organization. You start with design of necessary data structures, then define roles and screens. That is something you can present to your colleages and get their buying to work on common goal. As you progress and formulate detailed needs, you define business rules, reports, workflows and interfaces to other applications. Having most functionality on click breaks the barrier between developer and user of the application. At a certain point of time you may realize that you need to do some coding. However, I see it rather as an potential to extend to things that cannot be configured just by clicking. Vast majority of the development stays in clicking and therefore open to no-coders. Apart from IT processes and Knowledge management that are included in the initial pack, we use it for many small agendas. We also started to use it as a central master data repository interfacing with other systems. "Manage all devices information in one system"
All data about PCs, Servers, IP addresses and other devices were stored in excel tables before Object Gears. It was little confusing to find a correct device across a tables. Main problem was duplicity of information. We had one table for PCs, second for monitors and third for both these information with information about users who owned these devices. So we had to write same information again and again. With OG we create user and we can connect him across many tables like reference. You can create web page with all important information for development team about servers and their IPs etc. You can create automatic services like imports and exports from unix to windows systems or reverse. You can connect OG with Active directory and use users from AD. For this moment is OG unsupported for Safari web browser. Collect information about all electronic company devices. Automatic billing of virtual servers send by email notification to leaders . Automatic email notification about new devices to property/billing department. Web pages with important information about devices for development teams. 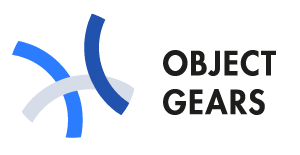 "Easy and cheap implementation of platform for IT management"
Objectgears is cheap and easy to implement. Entity model is easy to customize/adapt to the needs of company. For basic changes, there is no need to know programming languages. Generated large forms are sometimes unclear. I would recommend use UX designer for new version. If you want to get cheap and easy implemented system to manage IT or other process, get the Object gears. Creating whataver table structures that I need and assigning access rights. There is good documentation on the web but it is difficult for me to find fast what I need. I needed to share with my colleagues data which I did not want to put in Excel file on a shared drive. This is what we did in the past but was not sufficient anymore. After two weeks we realized how much we enjoy having this application instead of previous Excel files and improving with other features that we wanted. You can really develop fast 90% of the functionality. There are limits that you have. Look and feel of data records is given and cannot be changed much unless you develop OG pages for all scenarios. Internal applications where you do not need a special look and feel. I can easily manage the data that I want to share with my colleagues. I can create data structures, forms with questionnaires, charts etc. If I want to create a look (new color scheme), I have to edit a configuration file. I would prefer a web designer. Sharing data previously managed in Excel. We can manage simultaneous access and access rights much better. Users are now notified about changes or assigned task by an email. what anybody has already used. for other processes where we lacked appropriate application support. Flexibility to changes and meeting new requirements that we discover. I would like to see more examples for use. We have greatly decreased the time that we need to present the first working version to users. Saving time with development. I can provide my clients with what they need. We use EasyTask to manage daily agenda and team communication. * We monitor all ObjectGears reviews to prevent fraudulent reviews and keep review quality high. We do not post reviews by company employees or direct competitors. Validated reviews require the user to submit a screenshot of the product containing their user ID, in order to verify a user is an actual user of the product. Hi there! Are you looking to implement a solution like ObjectGears?